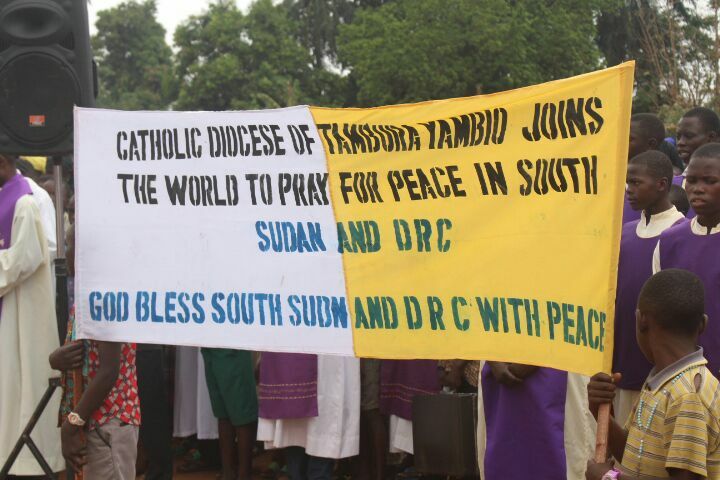 Message of the Catholic Bishops of South Sudan. “We call on all people of good will to join us today for prayer and fasting for peace, and to continue with prayer and fasting on a regular basis in the coming months. We also recognise with sadness that many of our people in South Sudan are actually fasting continuously as they have no food to eat. Peace will come when the hearts of the South Sudanese leaders are changed. Let us pray for that conversion. 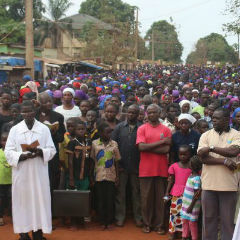 Images from the day of prayer in South Sudan in response to Pope Francis’s call for prayer and fasting.